He was born in Midnapore (WB), India in 1976. After schooling, he received his B. Sc. degree (1997) with chemistry honors from Vidyasagar University, Midnapore Colloege and M. Sc. degree (1999) with specialization in organic chemistry from Kalyani University. In 1999 he joined the Department of Organic Chemistry, Indian Association for the Cultivation of Science, Jadavpur, Kolkata for doctoral research under the supervision of Prof. Brindaban C. Ranu. Based on his work on indium mediated synthetic transformations he was awarded with Ph.D degree of Jadavpur University in 2004. From Feb. 2004 to Nov. 2004, he did his postdoctoral training in the research group of Prof. V. Prakash Reddy at the University of Missouri Rolla, USA. From Dec. 2004 to 2007, he did second postdoctoral training under the guidance of Prof. Cong-Gui Zhao, University of Texas at San Antonio, USA. He then took up JSPS Post-doctoral Fellow, Tokyo University of Science, Japan under the guidance of Prof. Yujiro Hayashi, 2007 (June)-2009 (May). Afterwards, he returned to India and joined as a Senior Research Scientist at New Drug Discovery Research Centre, Medicinal Chemistry, Ranbaxy Laboratories Limited and Daiichi Sankyo Research Centre in India, Medicinal Chemistry Gurgaon, during 2009 (June)-2010 (October). 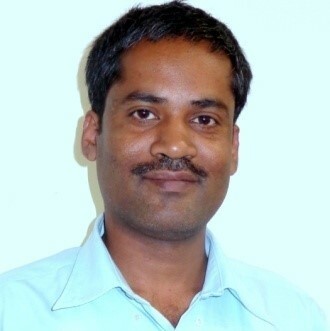 Since October 2010, he joined as an Assistant Professor in the Department of Chemistry at IIT Indore. His main research interests are organocatalytic mediated asymmetric synthesis, total synthesis of highly biologically active compounds, metal mediated synthetic transformations and green chemistry.